First a little info on Oxygen (O-2) sensors, first they are located in the exhaust system. An upstream O-2 sensor is located before the catalytic (CAT) converter, while a downstream O-2 sensor is located past the CAT. The purpose of Oxygen sensors is to help the engine run as efficiently as it can which in turn helps reduce emissions. The Oxygen sensors send information to the car’s computer, so it can control the fuel air mixture. The Oxygen sensors normally switch from lean to rich continuously based on the Oxygen content in the exhaust. The reading that was measured in the exhaust is sent to the PCM (Power Train Control Module) – the PCM rapidly changes the fuel mix to optimize efficiency. If the PCM sees that a sensor is not switching as it is expected, a fault code is set and the SES comes on to warn the driver that there is a problem. Lack of switching could be caused by a vacuum leak, a faulty fuel injector, or a lazy (or slow) O-2 sensor. If both, P1131 and P1151 trouble codes are set at the same time, the problem will most likely be attributed to a vacuum leak past the MAF (Mass Air Flow) sensor or something else that would likely affect BOTH banks. If the problem is only causing one code or the other, but NOT both, the problem will most likely be something that would affect one bank, like a bad O-2 sensor or a fuel injector; the most common cause of a single code either the P1131 or P1151 in my experience has been a bad Oxygen sensor. If P0171, P0174 codes or both have been pulled using a scan tool see our related automotive repair blog for more free tips diagnosing lean codes. Question – I have a Ford Taurus and want to change the Oxygen sensor that is located in the exhaust manifold on the windshield side. Is it possible to change the sensor without removing the plastic intake manifold to gain access? Answer– I know it seems buried. The O-2 sensor can be changed by using your left hand to reach from the passenger side of the vehicle down and behind the upper intake. Use an Oxygen sensor socket, a small extension and ratchet… it can be done. Question – I’ve scanned a P1131 in my VW, does this have the same code definition? Answer – The P1131 and P1151 can have different meanings depending on the vehicle make. I’ve included definitions for these codes for different manufacturers below. Marco, I’d clear the codes and drive it awhile to see what comes back. You could also have it smoke tested depending on what codes are triggered. Good luck. I had a tune-up done now tbe motor is lifting up and the car knocks very bad keeps cutting off. I have a Ford Taurus 1999 3.0 24v can you help me? Now im told its my sensors. I think a mistakes was done. Staten, I would double check the firing order. There should be codes set also. Good Luck. Hi Dennis. I have a 2003 F-150 supercab. 6cyl. its showing the following codes,1151,2232,0174, 0171. it is running fine. any ideas on what it is. I have seen several possibilities. I don’t hear any hissing at all either. I would check for vacuum leaks first. You would only hear hissing if there was a huge leak. Good Luck. Have 1997 merc sable dohc Has 98998 original miles. Just started idling rough and sometimes quits at long stop lights. Took to AutoZone and they ran a free check (hand held unit). Printout says P1151, P1131, P0300, Po156, and P0130. Now going to take to local mechanic (who I don’t know)to get an idea of costs. looked on various parts sites to get an idea but got confusing prices. Am on SS so pricing for repairs is IMPORTANT. If have all this done can you give me a ball park figure at what I can expect or should I try to find another used good deal. Tks. Knute, trouble/fault codes do not tell you which specific parts need to be replaced. They only point you into the right direction. The more codes there are the more difficult finding the problem in many cases. Most of the time there’s not going to be 5 or 6 codes set all at the same time. My guess is that the CEL has been on for awhile, but the car just recently started running bad enough for you to be concerned. As our article indicates the first two codes, P1151 and P1131, are most likely faulty Oxygen sensors. The P0300 is a random misfire code which could be caused by many things, like spark plugs, coils or something like a fuel pump which could affect all at once. Usually the random misfire code is accompanied by specific cylinder misfire codes too, like P0301, P0302, P0303, P0304, P0305 or P0306. The 1-6 in the powertrain codes, indicate which cylinder. It’s strange that one or more of those misfire codes aren’t stored also. The P0156 has to do with the bank 2 sensor 2 Oxygen sensor circuit. It doesn’t necessarilly mean the Oxygen sensor is bad, but that there’s a fault related to that circuit. The P0130 means there’s a fault related to the Bank 1 Sensor 1 Oxygen sensor. This is another code related to an Oxygen sensor which would possibly mean that the sensor is bad or something else could be affecting it’s readings signaling a fault. If I were checking the vehicle I would focuse on the first two codes. 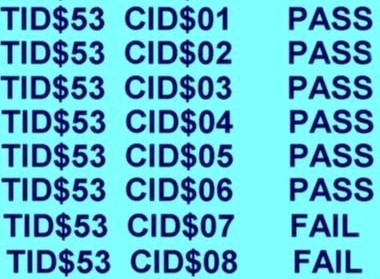 Usually the codes that are at the front of the list, when scanned, are the primary codes/faults. I would check the readings with a scan tool to see if the Oxygen sensors are switching properly. I would also consider other factors that could affect them and their readings and how they switched, like vacuum leaks, air intake leak, exhaust leaks etc. For the idle issue, I would also clean the throttle plates and check the IAC (Idle Air Control) motor. Clogged injectors could also be part of the problem, especially if the car sits a lot. I might take a fuel sample if I suspected contaminated or bad fuel. Dirty throttle plates or a carboned up IAC, won’t set a code but are common problems with those rough idle and stalling symptoms. 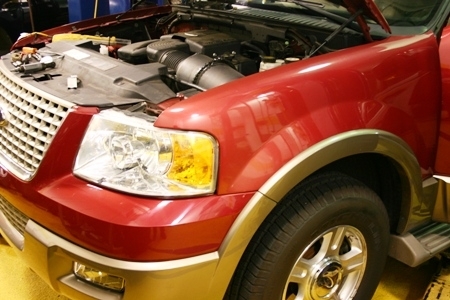 A good tech can give your car a lookover and provide more information. Remember that the parts guy at Autozone, is not really doing any testing, he’s just scanning codes. And while that’s a good free service, it will only take you so far in determining what’s wrong. You get what you pay for. Good Luck. On my moms mercury sable 99 im only getting the code P1131 and nothing else would this most likely be just the oxygen sensor or could there be a vacuum leak or air leak as well. Most likely an O-2 sensor but I would still look for vacuum and exhaust leaks. Good Luck. Changed throttle air bypass valve yesterday and now my car is running worse than before. It’s idling rough and there is a slight loss of power when accelerating. Got a code on bank one sensor 2. 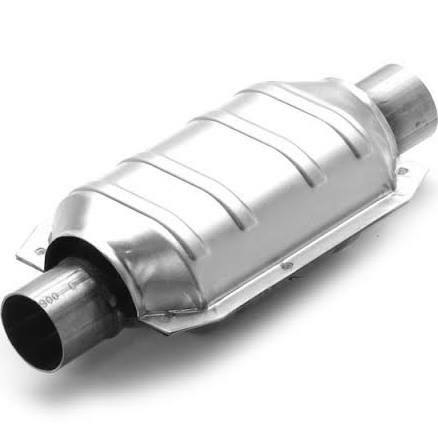 Can a clogged catalytic converter cause this??? I’ve been reading the posts on this page and you seem like a guy who knows his stuff so I have a question for ya. I have a 2001 Ford Taurus, 3.0. 114,000 miles. Recently, check engine light came on. Took it to Autozone to get the code read. Gentleman there said it was the upstream O2 sensor. I bought one upon his recommendation saying I could replace it. I’m having a hard time finding it. Can you give me a better location where to find this at? I replaced something up front that looked like it by the radiator but it ran rougher so I put it back the way it was before. I’m assuming that wasn’t it. If it’s near the firewall, where at specifically? There are two upstream O-2 (Oxygen) Sensors on your car. Even if you replaced the wrong one, it shouldn’t have ran bad if you replaced a good one with a new one unless it’s defective or incorrect for the application. The upstream O-2 sensors are before the catalytic converters, the downstream O-2’s are located after the Cats. Bank one near the firewall and Bank 2 near the radiator. You may be able to follow the wire to it or use a mirror if feeling around doesn’t work. Good Luck. thanks for the advice. I replaced the one near the firewall and put the original one back up front but it still runs rough. Not sure on that one. Hi, I have a 2002 Ford Taurus with 3.0 DOHC. Has 127,000 miles and no previous major repairs. Also, 3rd time oxygen sensor has been replaced. I’m pretty sure it’s the same sensor replaced each time. I just had MAF sensor replaced 1 week ago. CEL came on next day. Now get read P1131 and gas mileage is worse. Could it be something like CAT causing sensors to go bad? Maybe the wrong one keeps getting changed. The cat going bad would cause a cat efficiency code. Good Luck. Jimmy, lean and rich codes like you’ve described should not prevent the vehicle from going over 20mph. If the RPM’s will increase to 2-3000 RPM’s but the truck doesn’t go over 20 MPH, could be a transmission issue. If it BOGS and sounds choked down, when you try to increase speed, I would test the catalytic converters. There’s a tester that screws into the Oxygen sensor port so you can check pressures before and after each cat. Cat Tester Tool Aid 33600. I have shown the car to a mechanic and told him the code numbers. He said my car does not worth to fix and I should change the engine. What is the possible solution to fix the car? Can you please help me. 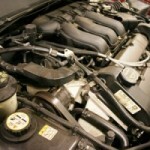 A mechanical issue like low compression would be a reason to replace the engine. 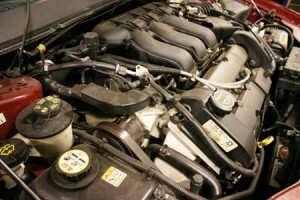 I’d check the compression on all cylinders to see if an engine replacement is necessary. If not, some of the codes could be related to each other. The EVAP code could just be a vapor leak from the gas cap or EVAP system somewhere within hoses or fuel tank. This will not cause the car to misfire or have low power. All the Oxygen sensor codes could be related to each other. But I wouldn’t replace any any O2 sensors until you confirm there’s no mechanical issues the and the misfire problem is fixed. The DPFE wont cause a misfire either. The most common cause of misfires are bad spark plugs or ignition coils or fuel injectors, but if there’s a problem with the engine’s integrity (like bad rings or valves causing low compression) it would be useless to start changing tune up related parts. If you are really lucky, you’ll find a vacuum leak. Fix the vacuum leak and clear the codes and see what comes back after it’s driven awhile. Good Luck. Help. 1997 Ford ranger 4.0L. Codes P0133, P 0153, P1131 and P1151. All O2 sensors 0.000V and all short term and long term fuel trim -100%. O2 sensors replaced. Where do I start to look on this problem? Sorry not enough information. It may be time to take it to a professional. Good Luck. The article may help then. Good Luck. 01 ford explorer sport trac. Almost didn’t make it home last night. Lost almost all power, and smoke from under the hood when I got home. Checked today, barely idles and pulled codes P0300, P1131, 1151, and P0136. Help!! Sorry not enough information. Would need to check in person. Good Luck.